The AP reports that Jay-Z is boycotting Cristal... Which, of course, means The Realests are now boycotting Cristal. Now, this isn't exactly a surprise coming from an extremely wealthy French guy. And it's up for debate whether the comment was actually racist. how in the hell was that a racist comment? That is so not a racist comment. 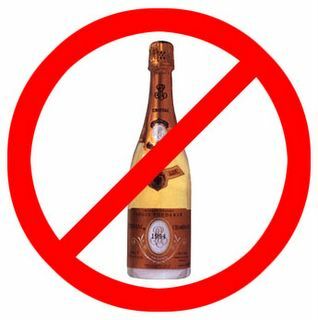 The only reason why Jay-Z boycotted it is because he was just about to launch his own champagne!